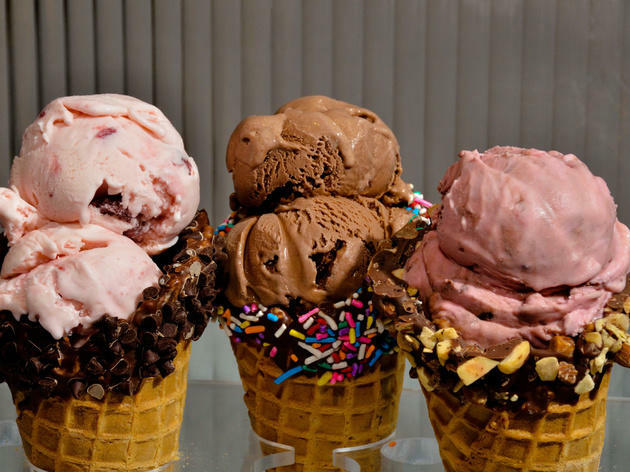 George's Ice Cream & Sweets is one of the best ice cream shops in Chicago. The ice-cream slinger sources frozen treats from Chocolate Shoppe from Madison, Wisconsin, and turns them into all manner of sundaes. 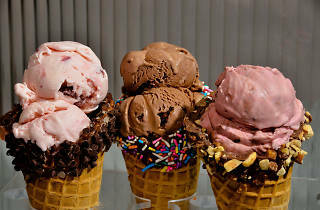 But don't worry about sugar overload—the ice creams are amazingly rich and creamy on their own. The food menu also includes hot panini, crêpes and waffles. We love George's! The staff is always friendly. The ice cream selections are outstanding as are the baked goods. We love that they are so community-minded too - supporting local non-profits, serving as a drop-off stop for toy drives, and offering games, books, and coloring activities for families. George's is the perfect small-town ice cream shop in a big city! George's! George's! George's! The best ice cream in the city when I don't have time to make the trek down to Beverly for a rainbow cone. The extensive menu of unique flavors has me coming back to Andersonville in the summer months. I love this neighborhood ice cream shop and summer lines out the door seem to indicate the rest of the neighborhood feels the same way. By this point I've probably sampled all the flavors, but my absolute favorite is the #yousalty which has a thick swirl of chocolate with crunchy sea salt dotted with cashews.